With Handshake, you can view all your customer information in one convenient place. Access to all your customer data makes preparation for store or tradeshow appointments a breeze, and makes contact information easily available for follow-ups or calls. You can pre-load your customer list into Handshake Rep before your a trade show or sales meetings. 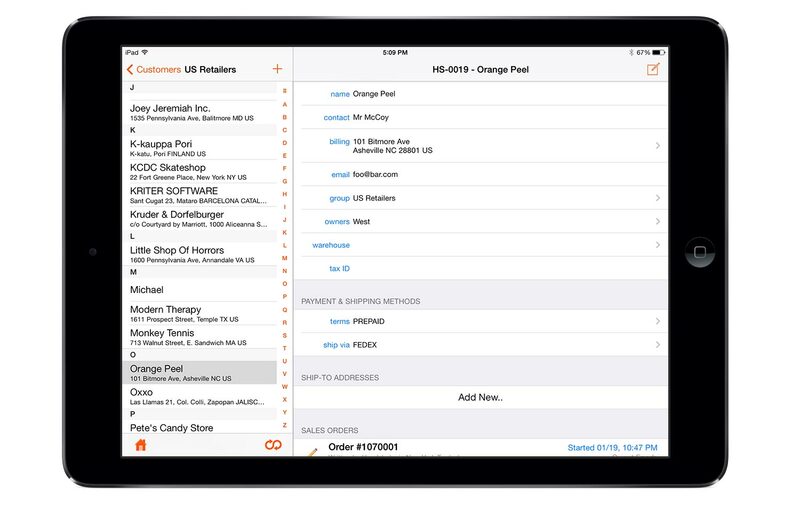 You can also easily create new customers on the fly on iPad or iPhone. Browse through your entire customer list, group your customers by group, region, currency, or priority, or use our search feature to jump directly to the customer you’re looking for. Search by customer name, zipcode, shipping ID, and more. Tap on a customer name for contact details, notes and company-specific data like shipping preferences, past orders, and their most commonly ordered products.